In its place, the District built a park. With that in mind, some parents and community leaders are disappointed with the city’s decision to replace what they say was a fully functional elementary school with a new city park. Residents and business owners on Georgia Avenue near Columbia Street, the intersection where Bruce Monroe Elementary School used to be and where Bruce Monroe Community Park sits now, are upset. They want the school back for their kids. EmpowerDC, an activist group in D.C., banded together several parents of children from Bruce Monroe Elementary School to form a community movement aimed at trying to get the school rebuilt quickly. The Parents and Friends of Bruce Monroe Elementary School, a branch movement under EmpowerDC, attempt to make the District’s school system keep its 2008 promises. Forester said outgoing Mayor Adrian Fenty and Rhee promised to rebuild the school, but never planned it into their budget. Parents, she said, had been led on for months under false pretenses, and thought the city government was trying to help them. “They were working under the impression that the school was going to be built in 2012,” Forester said. “It wasn’t until January of this year that we found out the school was going to be used as a double-level parking lot for Howard University Children’s Hospital. It was going to be used for a parking lot.” That’s one of many rumors now swirling. Mayor-elect Vincent Gray has said that he would like the school built sooner rather than later, but there’s nothing in the budget until 2018. “The same city officials that were meeting with us to talk about the planning of the school were talking to Howard University about building this parking lot,” Forester said. The parking structure protests worked, Forester said, as city planners have since dropped those plans. But, she said, the city still didn’t rectify the situation. Parents were confused why city officials built a $2 million park on a site pledged for the new school. The school closed in 2008, and its students have attended Parkview Elementary School several blocks away. Jones grew up in the neighborhood but now, many years later, lives in Maryland. He said he moved because the rent prices shot up and the community is so run-down. He still comes back every few days to socialize and hang out with everyone he knows in the community. Jones wrote and self-published two books about his struggles with local government and doesn’t expect the District to rebuild Bruce Monroe Elementary School, even though he said they said they would. The city originally said its reason for knocking the school down was for under-utilization and that the building was in need of repair. At Parkview Elementary, though, there have been reports of rodent infestations in the school’s cafeteria and problems with the building’s infrastructure. His resentment of the city’s establishment runs deep. Jones doesn’t trust what the politicians tell him. Others in the area had similar sentiments. Dawud Washington, who also moved to Maryland as an adult but grew up in the neighborhood and, like Jones, visits the neighborhood on a regular basis, said the city duped the community by saying a new school would be built. Forester said parents are flexible with a timeframe for Gray’s administration to rebuild the elementary school, but that residents are going to push Gray to keep the promises he made as the city’s chairman. “They don’t want black kids to go to no school, so those kids have to go to school way across town,”? Parkview is less than a half mile away! Tubman is 2 blocks down the same street. The Park View Elementary School definitely needs modernization, but it does not have problems with its infrastructure. 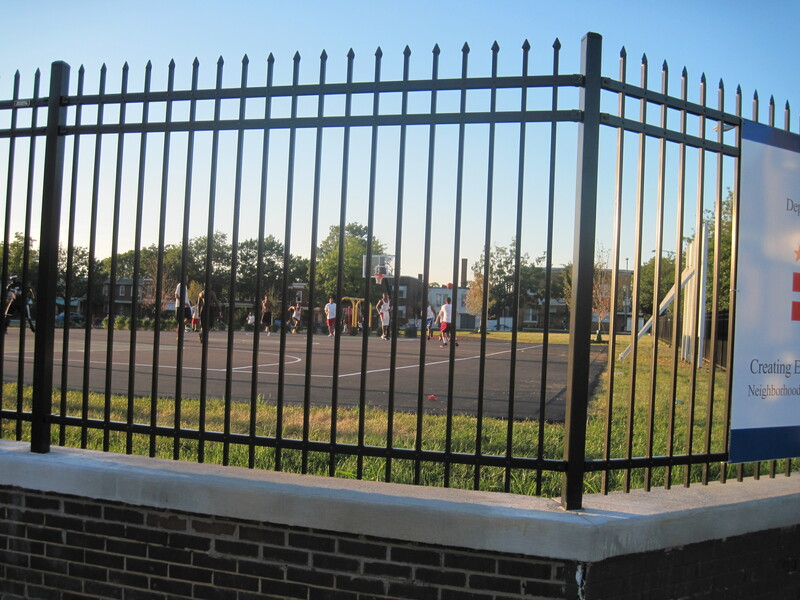 Additionally, while many parents want a new Bruce-Monroe built, there are other parents that want a modernized Park View. Once the two school districts were combined, it became a more complicated issue than just parents vs. the City. Wow, is your journalism major targeted at a job with Fox news? One sided and quoting only the facts that make your story. Try doing some real research. Did you ever go see the park? It’s used mostly by Black and Hispanic people, probably not too far off of the surrounding community. Good reporting. What about the people in the neighborhood who do like the park? The only sources that you quote are people against a school. What kind of condition was the school in before it was torn down? How far “way across town” is Parkview? Not that far, and it’s a pretty neat building. I want to make clear that because we publish a comment does not mean we endorse its accuracy or content in any way. This comment — regarding the Fox News dig on the reporter, Matthew Boyle — I thought was unnecessary and completely incorrect. However, because the comment made a broader, relevant point about the story, it was published. We would not publish a comment that was vulgar or completely baseless, but we are giving fairly wide discretion. The conversation here has been on the whole intelligent and informed, and I would encourage posters to keep it that way. We do thank you for joining the conversation. We know these stories are not published in a vacuum and very much appreciate the contribution to the discussion, ultimately helping to frame how these issues are seen in the community. As for your specific criticisms of my story here, yes, I did go to the park. I spent several hours there on multiple occasions. If you read the photo credits, too, you’ll see I took my own pictures at the site. Second – the people in the neighborhood who like the park? That wasn’t the focus of the story at all – it was on how the city promised the neighborhood a school and backed out on its promise. 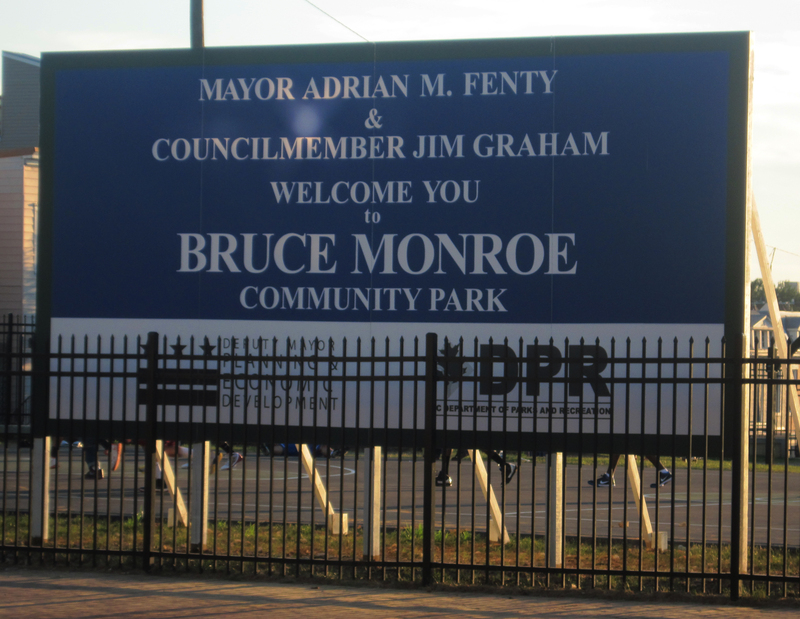 I wanted to focus on the school issue, not Bruce Monroe Community Park. As for what condition the school was in before, it was going through some aging issues, but community members, parents and Target were donating time and money to “modernize” the building that was there, which was built in 1979. Parkview is at least 8 blocks (if not more) from the site of Bruce Monroe. I walked it as part of my reporting … and it’s far. There’s a lot more to the issue than a broken promise. Politicians break promises all the time. Here, the issue is money. It’s a recession, even in DC. We can’t do everything we want to. It’d be better if we have an honest discussion about the pros and cons of rebuilding the school given where we are today rather than talking about what a politician said in the past. If you’ve been to the park, then why include ridiculous comments like “The Park is for white people” when it clearly isn’t. Just because someone says it doesn’t mean you should quote them. It makes you look biased. The school issue and the park issue are tied – you can focus on one only, but again, it comes off as biased. I’m getting sick of sensationalist articles about it – I’d rather hear a well balanced view. The reason behind quoting that person as saying the park is “only for white people,” is because that’s the impression I got of the community – they felt oppressed, even if they weren’t actually oppressed. Also, the reason to bring the city officials having promised the school and then going back on that is because, though politicians regularly go back on promises, the community was under the impression that their new school was already budgeted for – they didn’t know it wasn’t. What about the fact that the “member of the community” that said that lived in Maryland?